Home > Why hire from Hireace? Very good, friendly customer service on pick up and drop off. Also appreciated you having the prices of hiring everything on the website – this is much appreciated. Very happy with the service and the vehicle. Thank You. 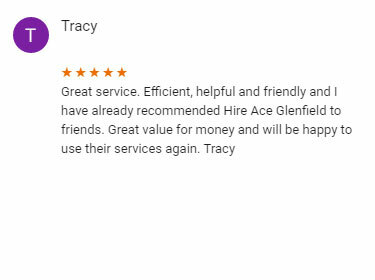 "Process and staff have been excellent..."
I’ve hired trailers from Hireace, Grey Lynn twice now. On bothoccasions the process and especially the staff have been excellent. I’ve recommended Hireace to several people for this reason. Booking was a breeze and without exception all the staff were brilliant to deal with. 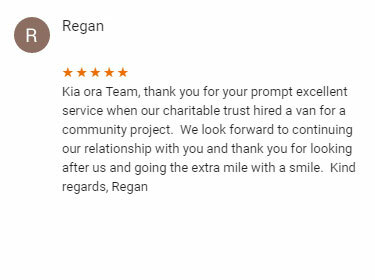 I ran into difficulties returning the trailer and your Grey Lynn staff were amazing in helping solve my issue. They area asset to your company. Awesome service, great team all working together to achieve total customer service satisfaction. Will highly recommend and will use again. Impressive! From the first point of contact the staff where very friendly and helpful. Hireace will definitely be our first choice again. Was just an all round great experience. Great guy, quick service, explained everything thoroughly. Well be coming back and recommending Hireace. Every effort made by staff to overcome difficulties beyond his control with the late return of a vehicle. Staff went to great lengths to help us at each end of thehire process. A great willingness to help and explain the information on the quotation. We have dealt with your company twice now and you deserve 10/10. We have recommended you to our neighbours who are suitably impressed to use you for their move in six months time.